We all do it. Believe me, I KNOW how easy it is to avoid the things I absolutely MUST do. Sometimes I procrastinate because I have a million ideas swirling around in my head, and I just don’t know where to start. Then there’s my to-do list– weighed-down with those pesky undone tasks that never get checked off the list. I can feel it getting heavier by the minute. To be honest, I’m so good at procrastinating that I needed to follow my own tips when it came to writing this blog. Here they are: 4 steps to conquer procrastination. Apply whenever you’re feeling stuck. Rinse and repeat…. 1. Get Clear— It’s hard to get things done when you’re not clear about what needs doing. In order to get clear, it’s crucial to reduce anxiety and tension. Anxiety and tension will muddle your mind — high cortisol (major stress hormone) drains blood from the thinking part of your brain. Meditate before tackling big projects. Meditation will help calm and focus your mind. 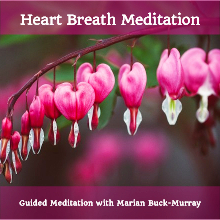 Try deep breathing, yoga, or EFT Tapping to reduce stress and anxiety. Work from a space of relaxed, focused energy to boost clarity and efficiency. Create a short list of tasks and schedule them. Divide complex tasks into easier small steps. When working on a task, eliminate distractions to promote easy focus. Set a timer for an allotted amount of time. Stop working when the timer goes off. 3. Clear Fear – Fears of failure, rejection, or even success, can sabotage efforts to achieve your goals. Here are tips to help you increase your confidence. Stay present, and focus on one step at a time. Focus will help diminish, or even eliminate, fear. Embrace mistakes, and know you will learn from them. Bring to mind your unique reasons for accomplishing your goals – let go of what others think. Use EFT Tapping to clear feelings of fear. Contact me to learn more. 4. Tap Into Your Flow – Increase feelings of self-trust and competence to accomplish your to-do list more easily. Here are some suggestions. Bring to mind the good feelings from previous accomplishments. Start from this place of positive energy. Visualize yourself accomplishing your task. Imagine how good it will feel. Build momentum by knocking off a series of small tasks. Use empowering affirmations. (I know I can do this. I’m smart. I have talent..) Try this with EFT Tapping, for more powerful results. Above all, have compassion for yourself. 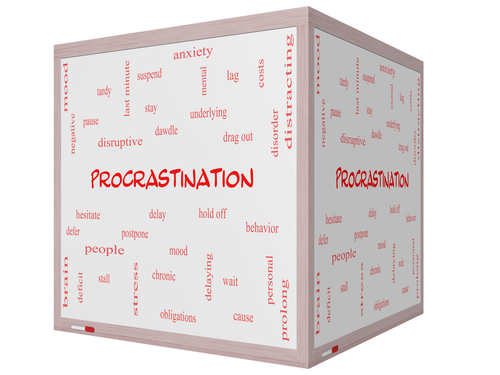 Any form of procrastination is a call for deeper understanding and acceptance of yourself. This doesn’t mean giving in to procrastination. It means acknowledging your feelings, and helping yourself release them. Once you’re clear of old fears and resistance, you’ll be amazed at how quickly you can move forward. Click here for access to a free Mp3 “Getting Unstuck” with guided tapping to help you get unstuck and get started. If you’d like to go deeper with EFT to conquer your procrastination, contact me.